Can different families, with individually online-booked reservations, be seated together? Yes. These reservations can be booked separately online, but someone must call 800-293-7245 to confirm the combined seating request as seating options are not offered online. A request made the day of travel will be considered but cannot be guaranteed. Reservations with odd numbers of tickets – Please note that in first class there are tables that accommodate one or two individuals, while couch areas seat four. Parties of 3 must purchase four tickets to have a guarantee of a private couch area, or to be seated together. A portion of all train ticket revenue is donated to Liberty Wildlife Raptor Rescue program. 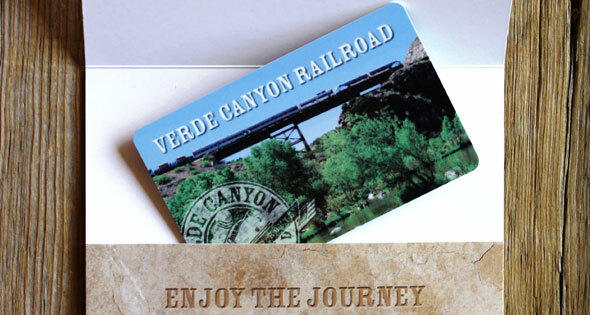 Verde Canyon Railroad Gift Cards ae the perfect present, anytime of the year!